The 5 Gorgeous Fishing Villages of Cinque Terre ! 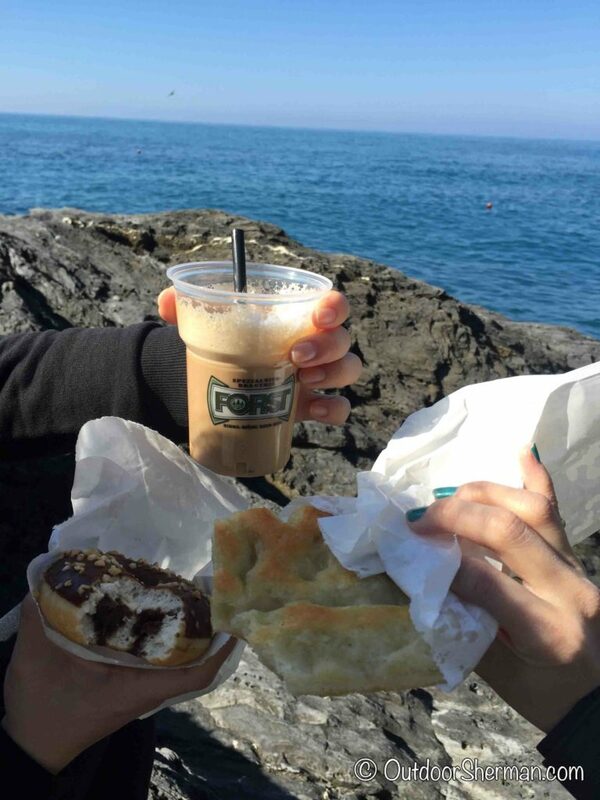 When my sister told her coworker she was going to Italy, she immediately suggested to add Cinque Terre as one of our stops. We’ve never heard of this place before so we googled it to see why it was so special…and we were amazed by the images we saw! So without much hesitation, we knew we needed to include this as part of our itinerary! 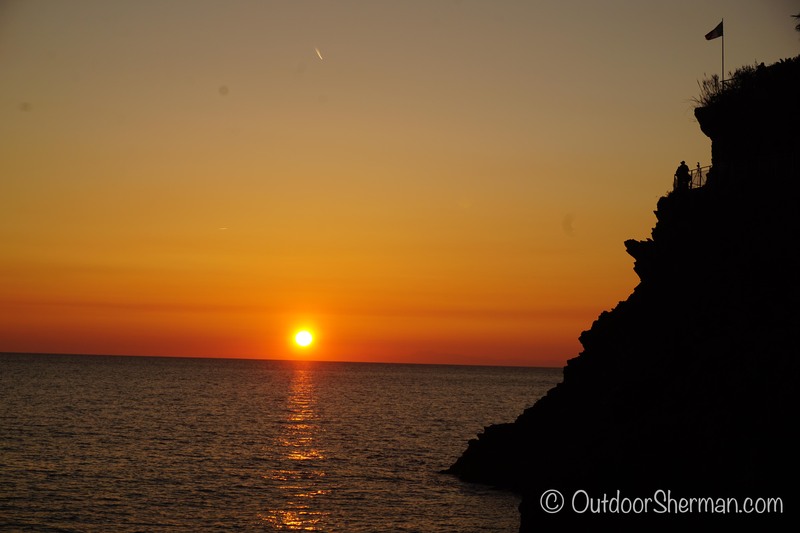 Cinque Terre is formed by 5 stunning fishing villages located along the Ligurian Sea. What makes them special is that they are made up of colourful little houses stacked up next to each other…making it quite a spectacular site! Each village is unique in its way so we wanted to go explore them all! 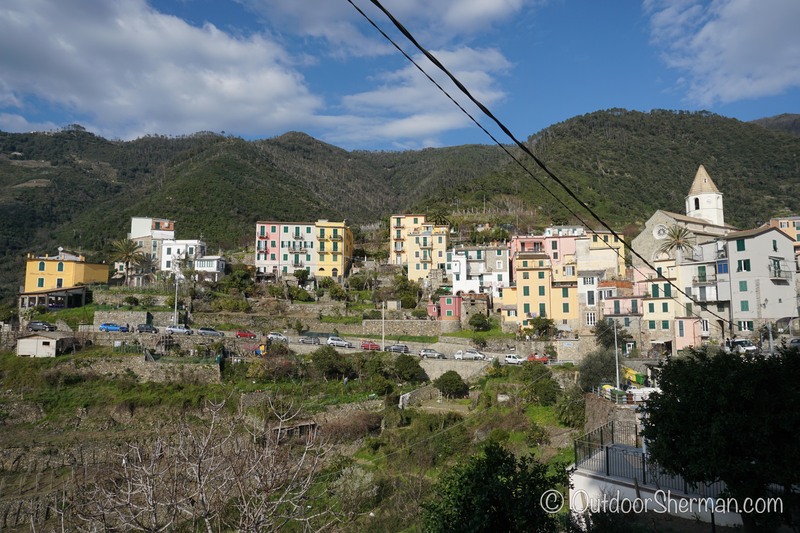 Here’s a glimpse of what Cinque Terre looks like! 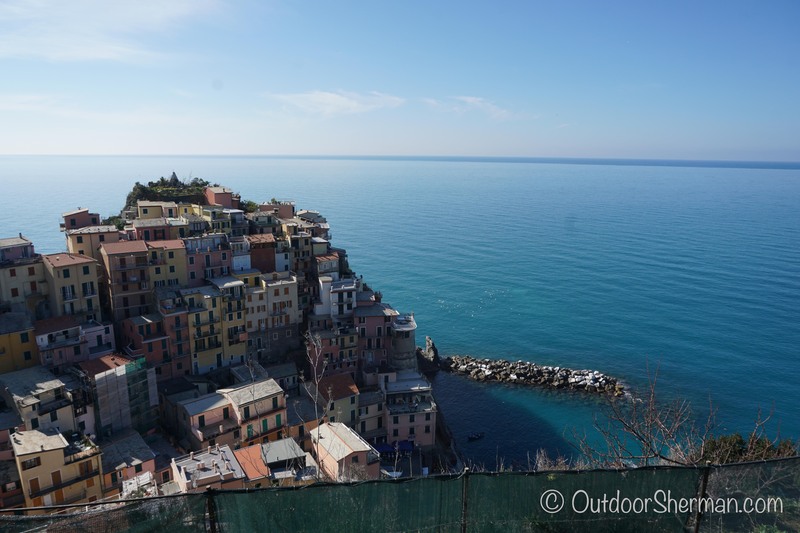 We planned to stay 2 nights there so the first thing we needed to decide on was which Cinque Terre town to stay in. 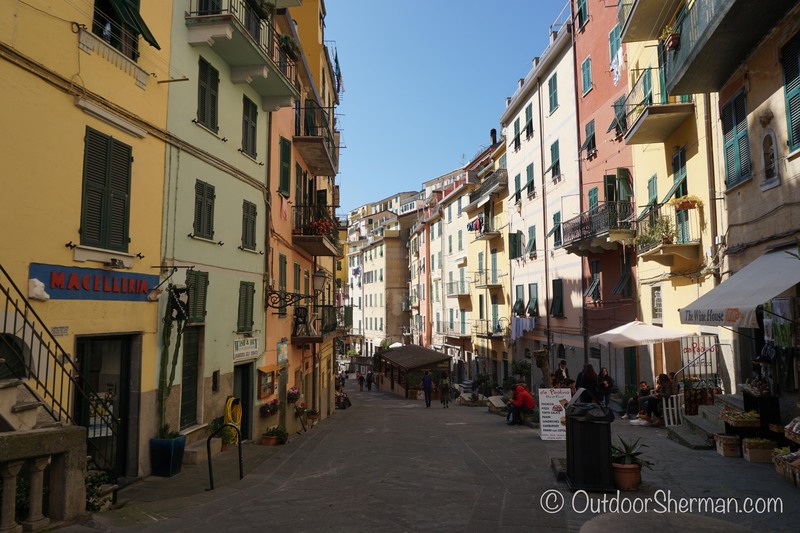 From the research we’d done, it seemed like Riomaggiore was the most visited town with the most tourists so we wanted to see if we could find something more quieter. Corniglia was the only village did not have direct access to the water so we crossed that off the list. Monterosso was known as the party town so we eliminated that. 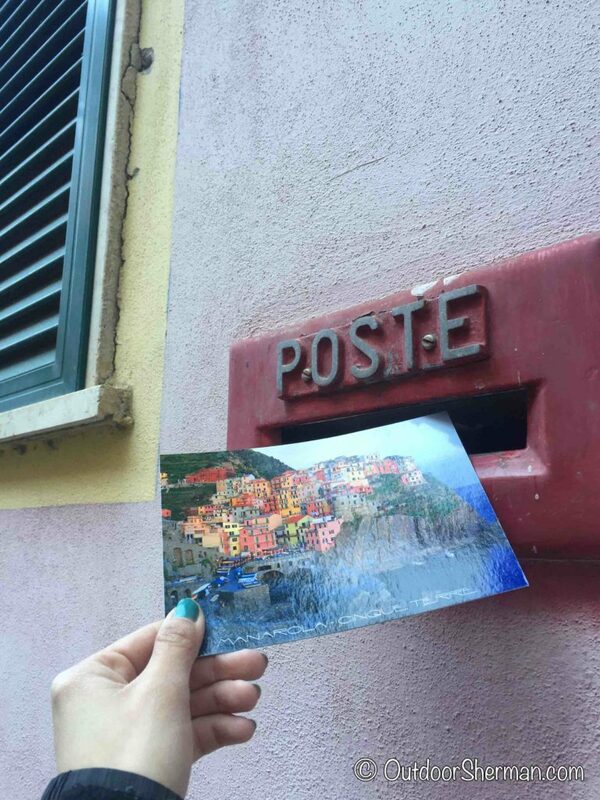 So finally, we were down to two, Vernazza and Manarola. 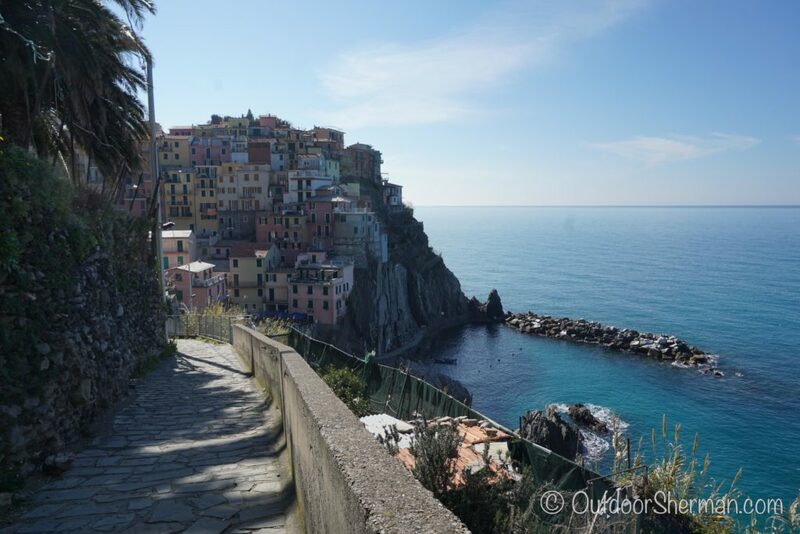 From most of the books and sites I’ve read, people often suggest Manarola as the best one to stay in so we gave it a try and we absolutely loved it! 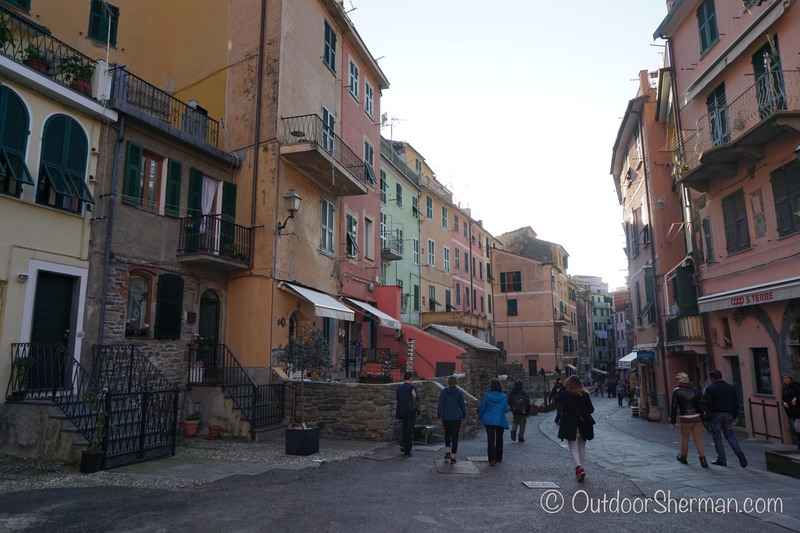 A lot of our planning and decision making on our trip to Italy was with the help of Rick Steves (For those of you who don’t know him, he is an awesome guidebook author who focus mainly on Europe…but he knows it inside out! His books, audio tour app, and his website are super handy! 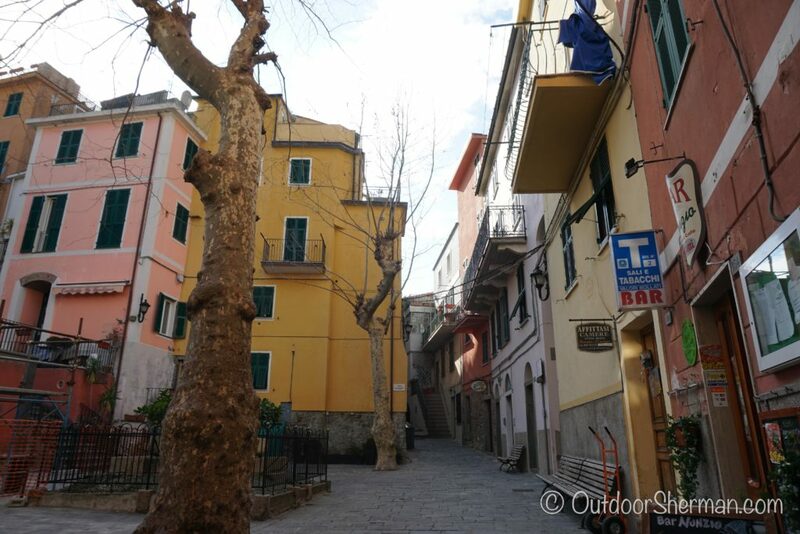 ), he suggested booking with Arbaspaa so we found a nice apartment in Manarola. 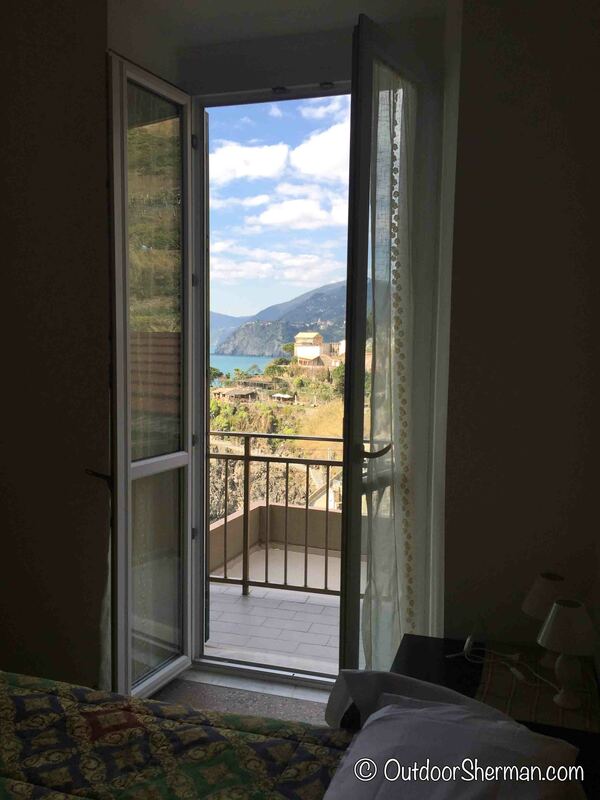 Accomodations is limited in Cinque Terre and it’s not cheap so I definitely suggest to book ahead. Luckily, we went in March so it was low season and we paid €80 a night for it. It was a super clean one bedroom with an AMAZING balcony view of the village, kitchen, living room, and a massive bathroom. We’d definitely stay there again! What is there to do and eat? I wished we’d stayed there a few extra days to really experience all five villages but with our limited time there, we still got to see most of it. 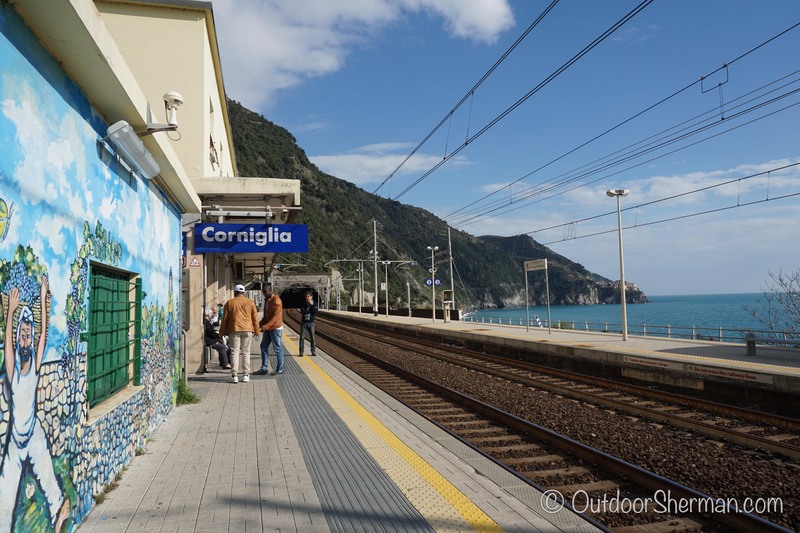 Cinque Terre is known for its beautiful hiking trails by the sea but unfortunately, when we visited in March 2016, most of them were closed off so we took the local train between the villages instead. 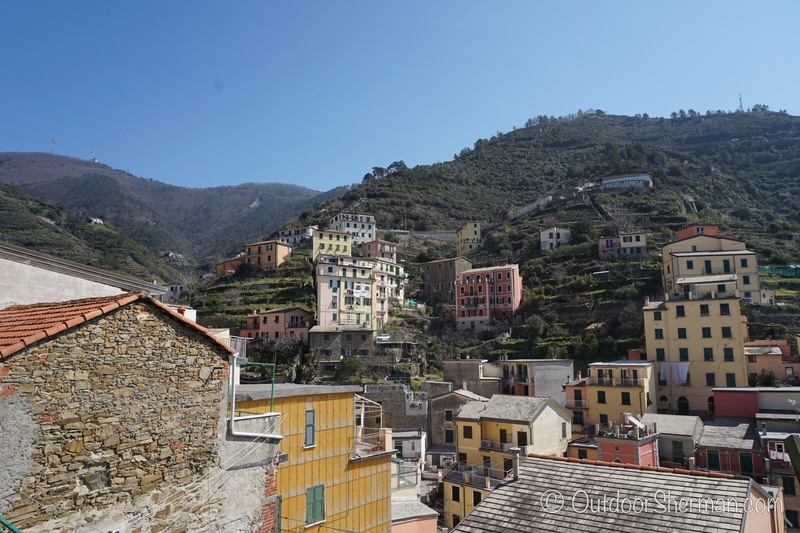 We got to Cinque Terre early afternoon so on the first day, we visited Corniglia, Vernazza, and a bit of Monterosso. 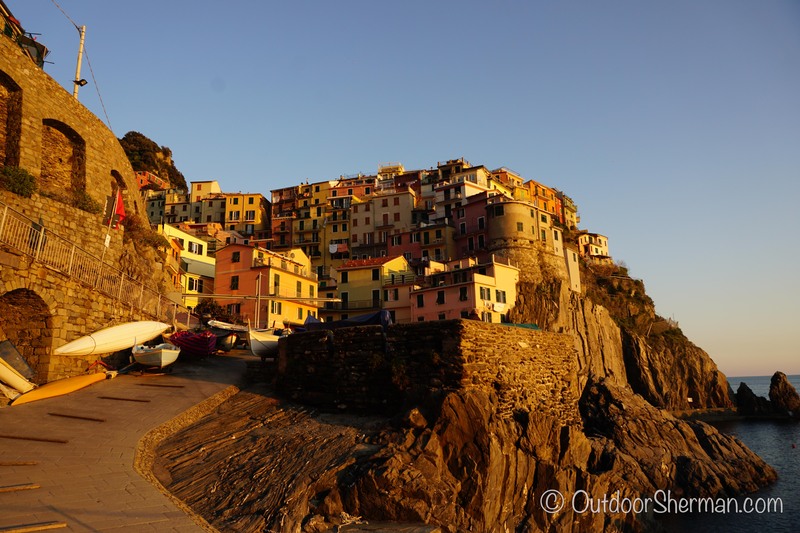 The next full day was spent at Manarola and Riomaggiore. We definitely enjoyed the two latter villages the best! We started off the visit with a nice little looped hike around the village. 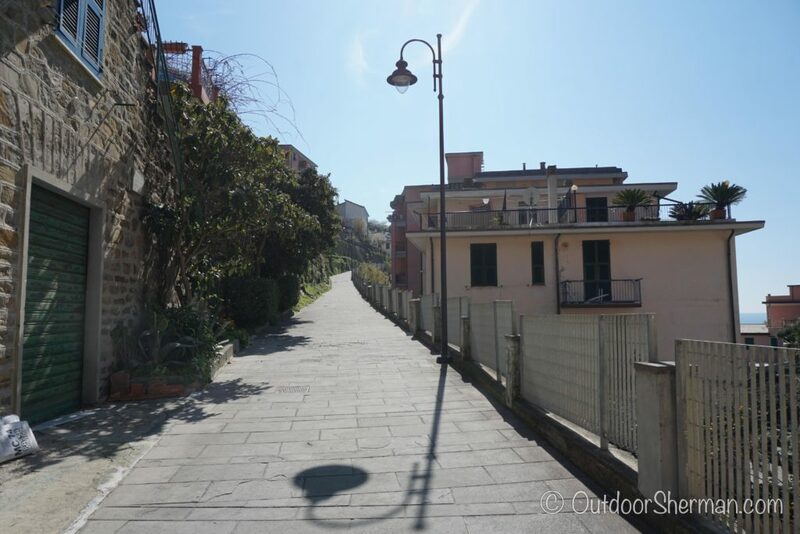 There is only one main road and if you continued going up the hill, you will see signs that leads you to Corniglia. 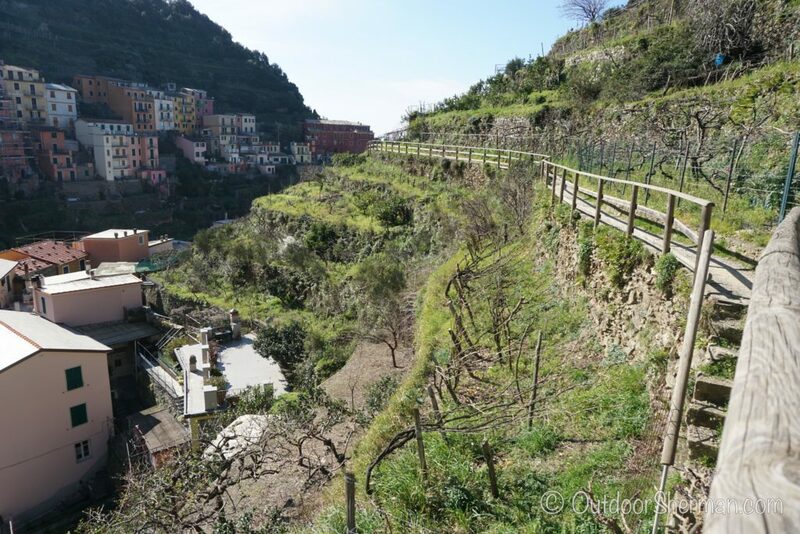 Follow this trail to explore all the vineyards and you’ll get to see an exceptional view of Manarola! At one point, the trail will arrive at an intersection that has a trail that loops you back to the village. Follow that path and you’ll arrive back at the waterfront. 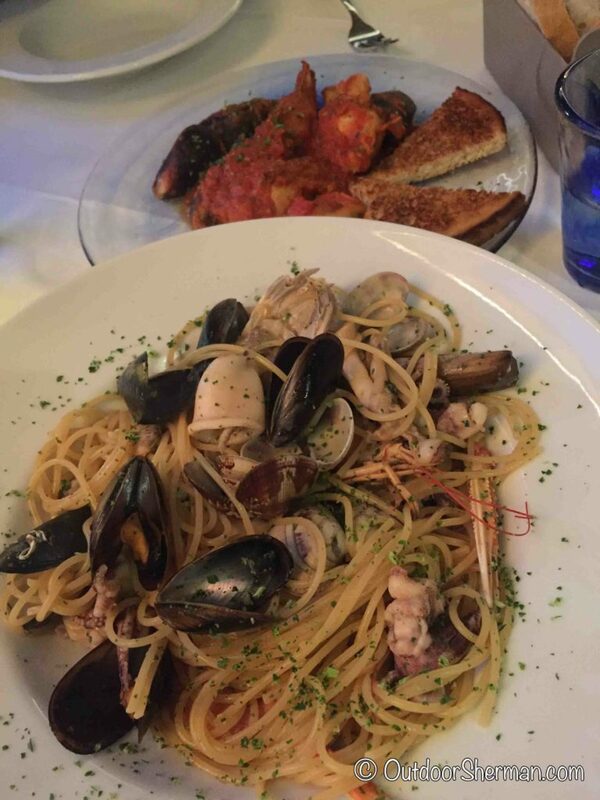 There aren’t that many restaurants but the one we enjoyed very much and we went back both nights was Trattoria Il Porticciolo. 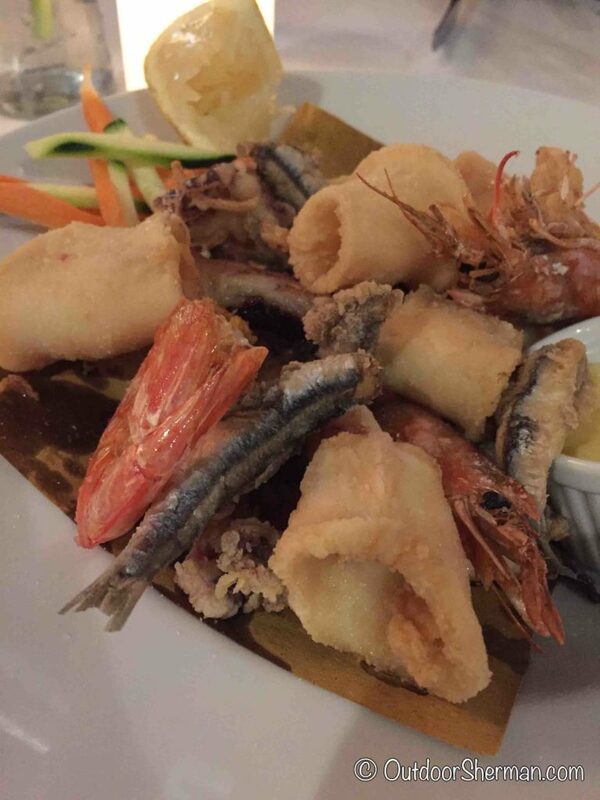 We had their mixed seafood and got to taste Cinque Terre’s anchovies…it was delicious! 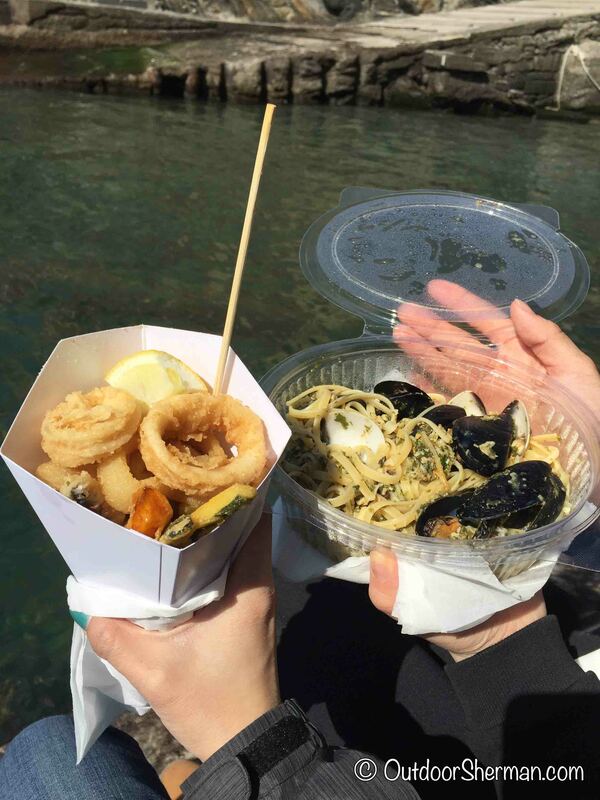 Their pesto pasta and mixed seafood spaghetti was also very tasty! Once we got off the train, instead of taking the tunnel to get to town, we took the street on the left which brought us up the hill. If you follow this trail, you’ll to explore the the whole village from above before making your way down to where the main street is. 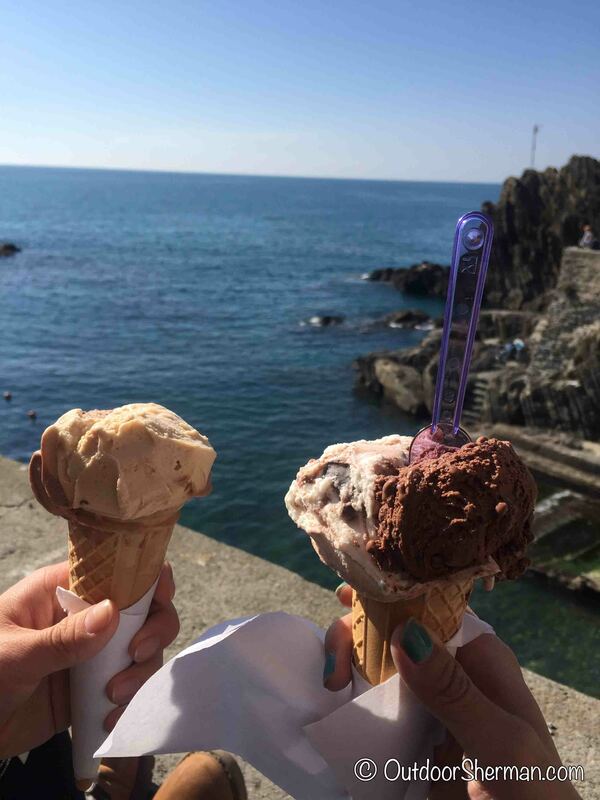 We walked along the seaside to enjoy the spectacular view and what’s a better way to admire it than eating a gelato at the same time! The train is located at the bottom of the hill so we needed to walk up a very long flight of stairs to reach the village. We wanted to find the beautiful lookout point where you’d be able to admire all 5 villages at the same time but we were devastated because it was under construction so we couldn’t access it. Instead, we walked around and had gelato instead! After getting off the train, we walked down the road towards the village. Shops and restaurants were lined up on both sides of the street and when we got to the end, we were greeted by a beautiful port. It was a beautiful place to sit and enjoy the scenery. 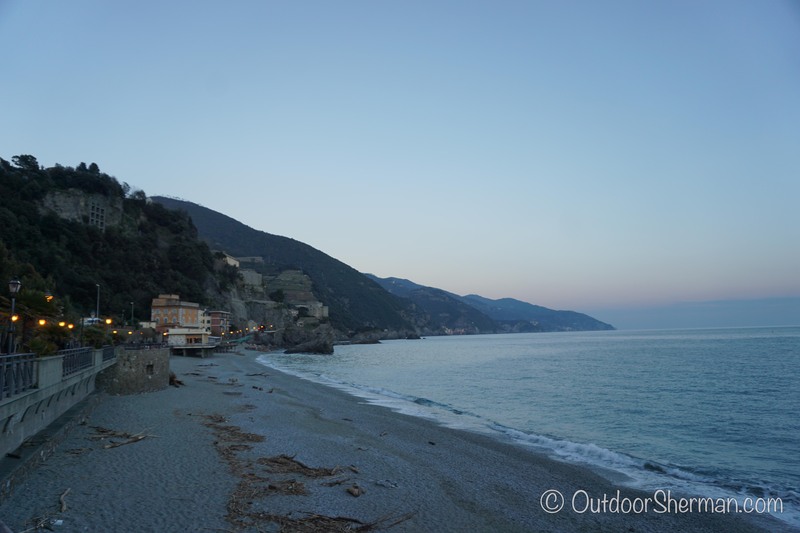 Unfortunately, by the time we got to Monterosso, it was getting dark and we didn’t want to stay too late. We only stopped for a mere 20 minutes before catching our train back to Manarola. 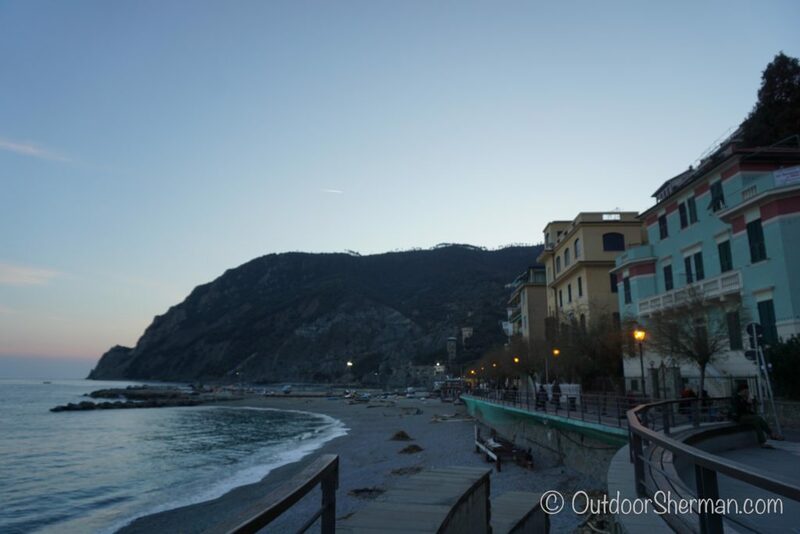 Monterosso is the only village that has a beach so we snapped a few shots of it before we left! One thing we found absolutely adorable about Cinque Terre was their lemon trees! 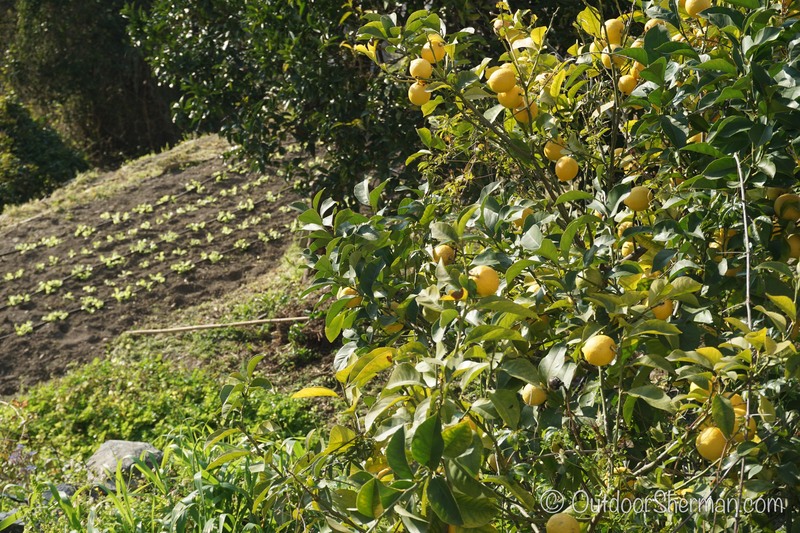 I’ve never seen them before so for me, the contrast between the yellow fruits and the green leaves were very pretty! 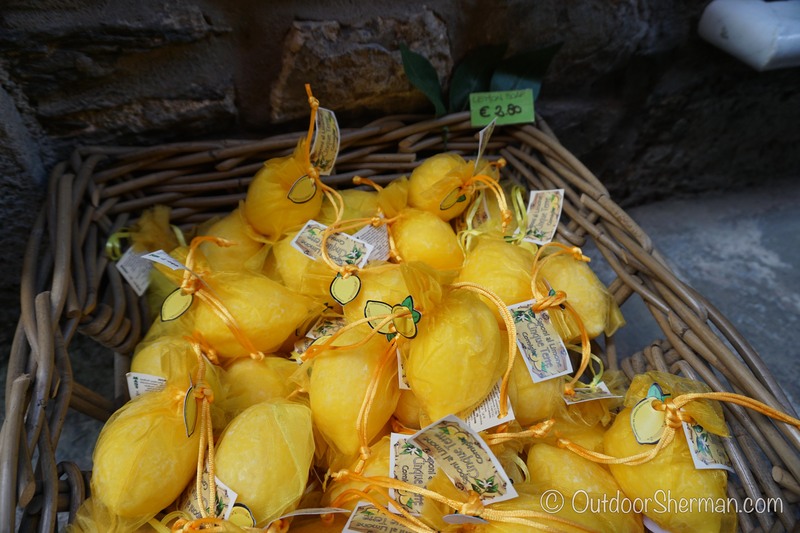 Since they produce lemons, one super cute souvenir to buy are their lemon soaps! 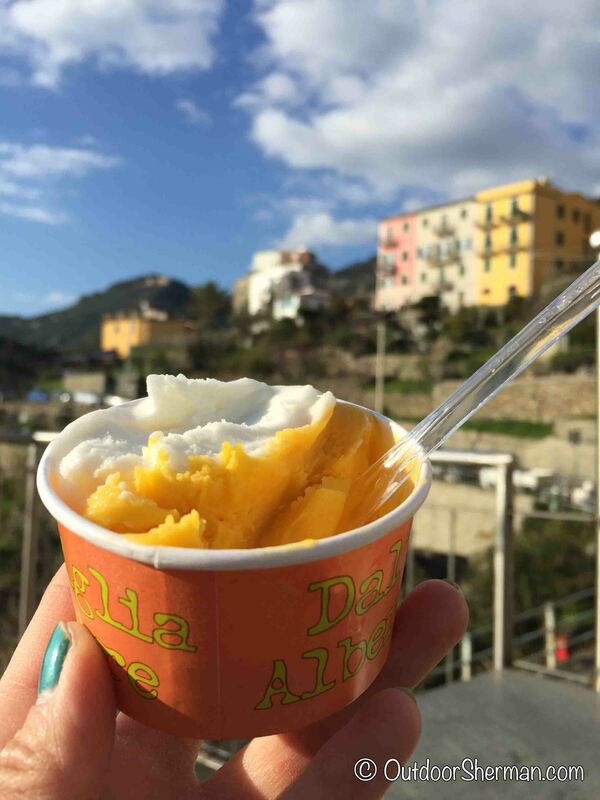 We were in Corniglia and we walked by this little souvenir shop and the strong lemon smell just completely caught our attention. The little soaps were in the shape of a lemon and it smelled so good we couldn’t resist not buying some! 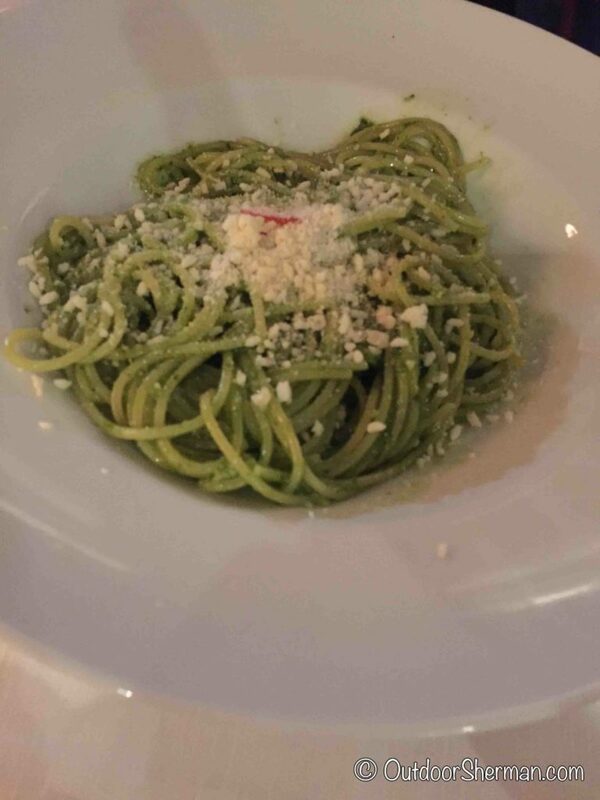 This region of Italy is home of the pesto, so we knew we had to get some to try out! All the little shops in Cinque Terre sell them so we picked up a small bottle (yeah, our luggage was getting super heavy so we just bought a tiny bottle) and made pesto pasta with it. Mmm…delicious! 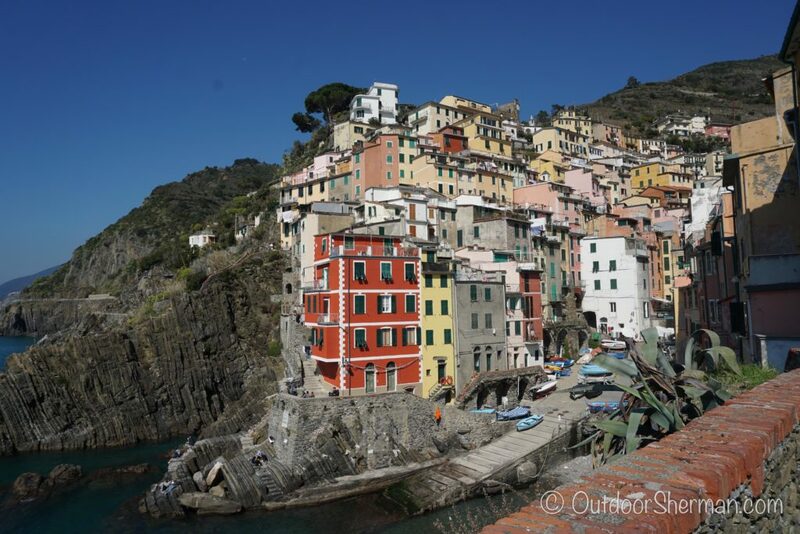 If you’re planning a trip to Italy, you have to make a stop at Cinque Terre, even if it’s just a day trip! I did find that one and a half day wasn’t quite enough if you fully want to experience all the towns. If I was to go back, I’d probably spent 3-4 days there. 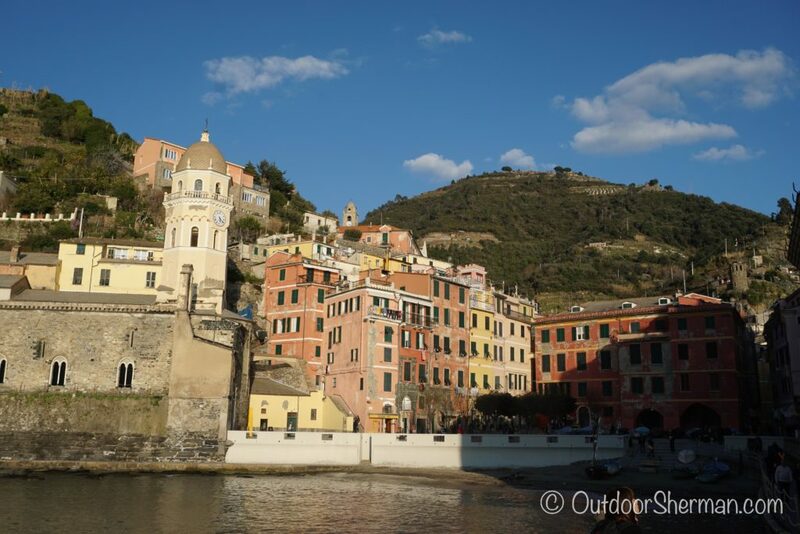 I see this place as more of a relaxing destination since there aren’t much attractions compare to the other bigger cities in Italy but you’ll be so captured by the breathtaking scenery, you’ll just want to sit by the waterfront all afternoon. One thing I highly suggest is to go during low season…first off, with the limited accommodations, it’ll be difficult to get a room without having to book way in advance (our whole trip was very last minute so we only booked ours in February and they still had space). Secondly, the most important thing is that it would be SUPER crowded everywhere. The towns are small and the streets are narrow so the gorgeous scenery would definitely not be the same if there were people everywhere. 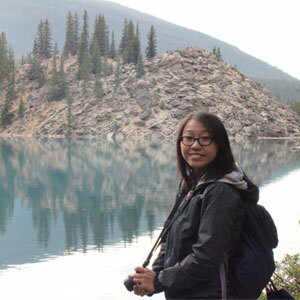 Maybe that’s just how I am, I love nature when I can enjoy it quietly…not when there’s tons of tourists screaming around me. 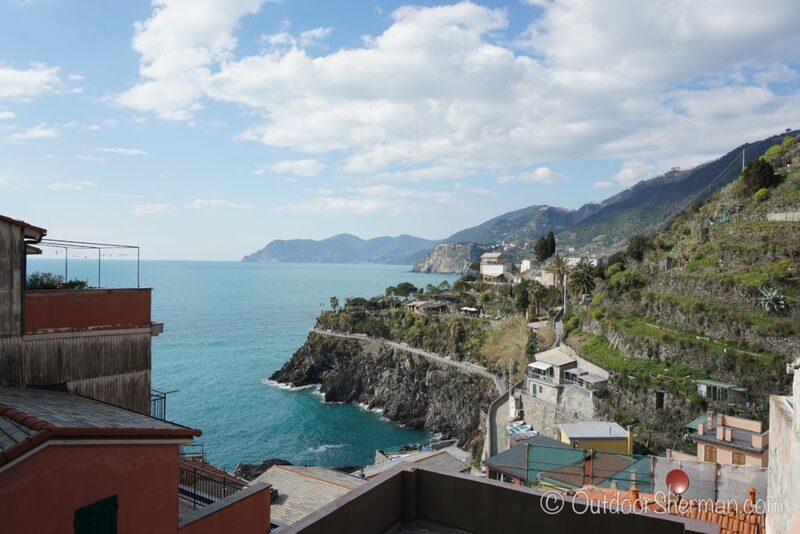 So start planning that trip…cause you don’t want to miss out on Cinque Terre!